Designed by the renowned Edwardian architect Henry Lanchester, the Umaid Bhawan palace exhibits influences from both Eastern and Western architectures. Made of amazing Golden-Yellow sandstones, this 347-roomed palace shines like Gold, when kissed by the Sunlight. 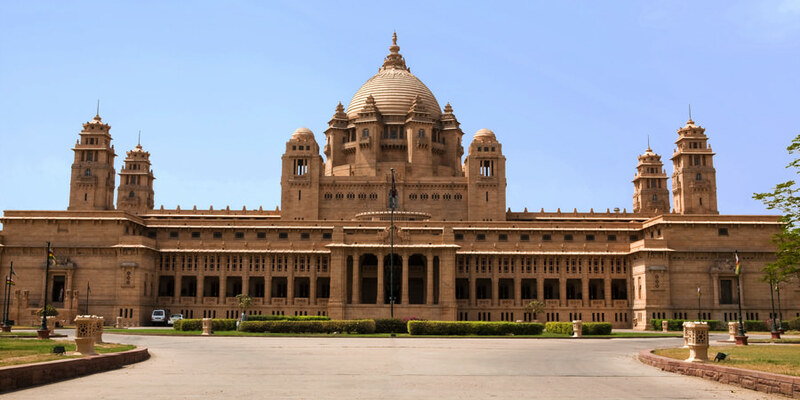 The Umaid Bhawan Palace is now divided into three parts- A luxury Taj Palace Hotel (since 1972), a Museum focusing on the 20th century history of the Jodhpur Royal Family and the residence of the owner's royal family. The Whole palace was built between 1928 and 1943 by the Grand Father (Umaid Singh) of the present Maharaja of the palace. The Umaid Bhawan palace is truly a treat to the eyes and offers an exotic Rajasthani ambience to the visitors. The classical interior works of the palace are fine examples of Great Rajput artwork. Umaid Bhawan Palace has converted into a luxury 5 star heritage hotel at present. Umaid Bhawan Palace was called Chittar Palace during its construction due to its location on Chittar Hill, the highest point in Jodhpur. Ground for the foundations of the building was broken in the year 1929 by Maharaja Umaid Singh and the construction work was completed in 1943. The Palace was built to provide employment to thousands of people during the time of famine. Umaid Bhawan is one of the really charming Jaipur hotels. 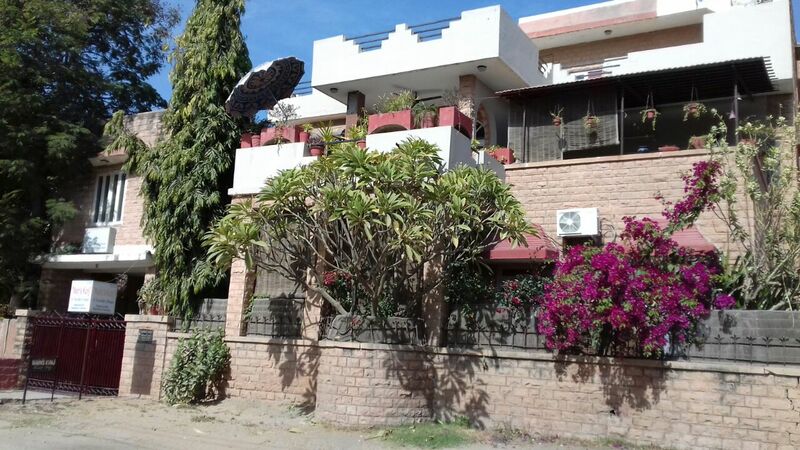 It is located in the locality of Jantar Mantar, in close proximity to the airport, railway station and bus stand. The hotel has courtyards, terraces and private balconies that provide a peaceful feel. Umaid Bhawan is perfectly located on the Chittar Hill, it offers bird’s eye view of the city. The interiors of the palace are done in Art Décor style. Puppet shows and other cultural programs are organized in the courtyards for the guests. 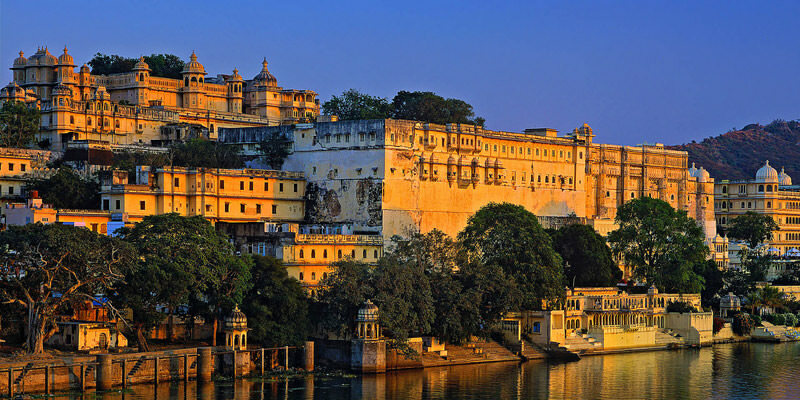 It is spread across 26 acres, and the complete palace has 347 rooms. The heritage hotel of Umaid Bhawan has a total of twenty five rooms which include deluxe rooms and royal suites. The rooms have attached bathrooms with hot and cold running water with all the luxurious amenities. The interiors of the hotel bring reflect the very original elements of Rajasthan design and architecture. There are Money exchanging facilities and internet facilities further add to the ease offered to guests. Guests can also indulge in indoor and outdoor games like chess and badminton, or go for a swim in the in-house pool. It is breathtakingly beautiful and was designed by the famous architect named architect Henry V Lanchester. All the rooms of this palace are differently made and are decorated in royal style. The other attractions of Umaid Bhawan are the Throne Room decorated with Ramayana Murals, a library and the museum showcasing a variety of royal articles such as a banner presented by Queen Victoria, weapons, paintings etc. Umaid Bhawan Palace is one of the largest private residences in the World. A section of the Palace is still home to the Grand Children of Maharaja Umaid Singh (Who built the palace). Within the Fort premises, you will find a gallery which displays some of the most exotic automobiles owned by the Royal family. The palace is just 15 minutes of ride away from the Jodhpur airport; from airport you can easily hire a cab or taxi. From Jodhpur railway station, the Umaid Bhawan Palace is at mere distance of 2.4 Kms. You can easily hire a taxi or walk up to the place (as per your wish). You will notice a number of peacocks within the Fort premises; kindly do not hurt them in any manner as peacock is the National bird of India. The museum inside the Umaid Bhawan Palace is open only from 9 am to 5 pm. So, kindly plan your visit accordingly.